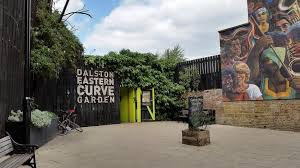 Dalston's much loved Eastern Curve Garden has alerted its users to the extreme risks it faces from Hackney Council's latest plans to "regenerate" the Garden as part of what it calls Dalston's "Cultural Quarter". 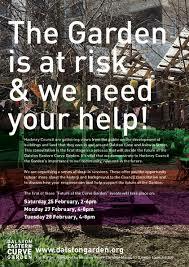 Hackney owns all four of its Dalston "Cultural Quarter"sites including a large part of the Eastern Curve Garden. 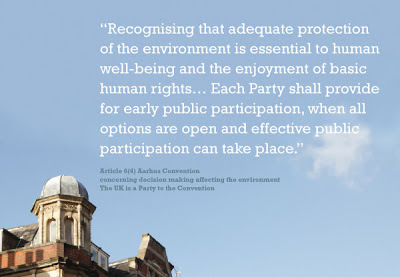 In November 2015, without any public consultation, it decided to sell them as a single "comprehensive development/refurbishment" package for "regeneration". It considered that this strategy would "maximise capital value and rental revenue for the Council." 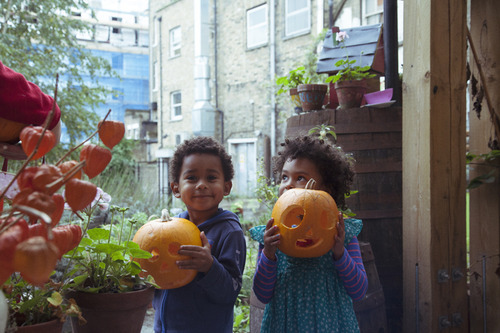 Hackney has refused to disclose its property valuation report on grounds of commercial confidentiality. More demolitions and luxury flats, and the loss of existing affordable work space, are likely ( Although the opposite is said. Ed.). The Eastern Curve is a former railway cutting which had been safeguarded against development for possible re-use as a railway line. 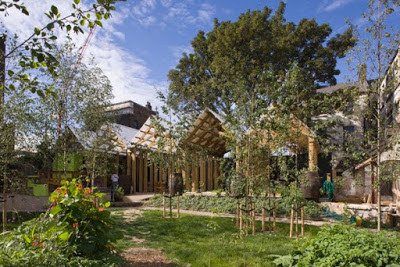 The site was opened to the public in 2009 for the temporary Dalston Mill art installation and in 2010 the use continued as a community managed public garden. 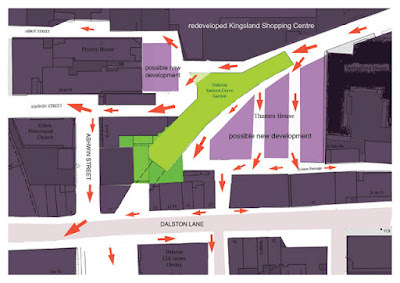 TfL released the safeguarding and transferred the southern part of the Eastern Curve to Hackney and the remainder to the owners of Kingsland Shopping Centre. 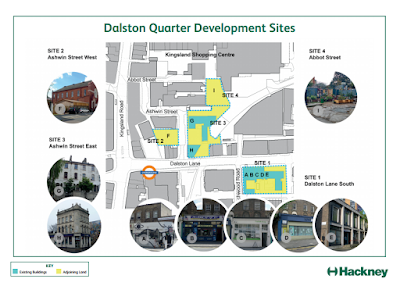 The Dalston Eastern Curve Garden now occupies both landholdings, but Hackney is only consulting about its own part which it has included within the Ashwin Street East Site 3. 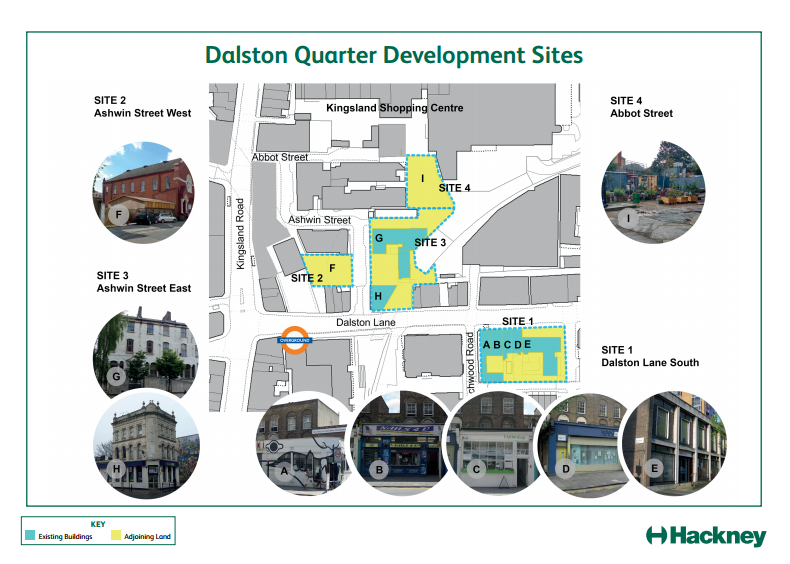 Hackney's "regeneration" vision for the Garden involves a hard-surfaced public thoroughfare which would link Dalston Square with a redeveloped Kingsland Shopping Centre, with shops and cafes having "active frontages" spilling out onto the route. 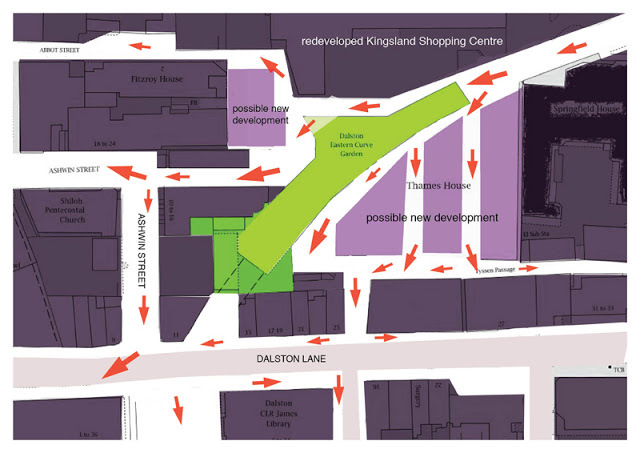 The Council claims the Eastern Curve Garden needs to become a public thoroughfare to provide "pedestrian permeability" from Dalston Lane to a redeveloped Kingsland Shopping Centre. But look at all the potential routes available if only Hackney wasn't deaf and blind to the possibilities. Dalston is an area recognised as severely deficient in green open space.The finally adopted DAAP, at pages 56 and 57, does at least acknowledge that "the successful community garden... is one of the many types of spaces that could be possible" for the Eastern Curve. There is free public access to the Eastern Curve Garden. 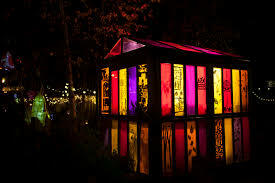 It is a place where people meet plants. It's where children can learn and play safely. 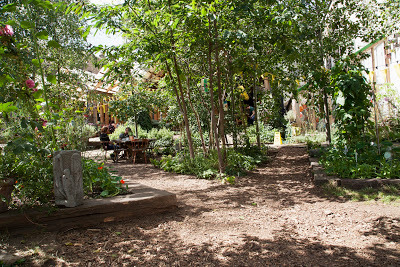 A place for growth, creativity and solace amidst the hustle and bustle of Dalston Town centre's redevelopment. 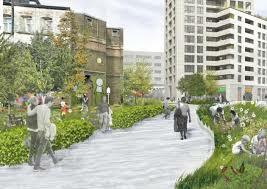 Its an urban wildlife corridor. 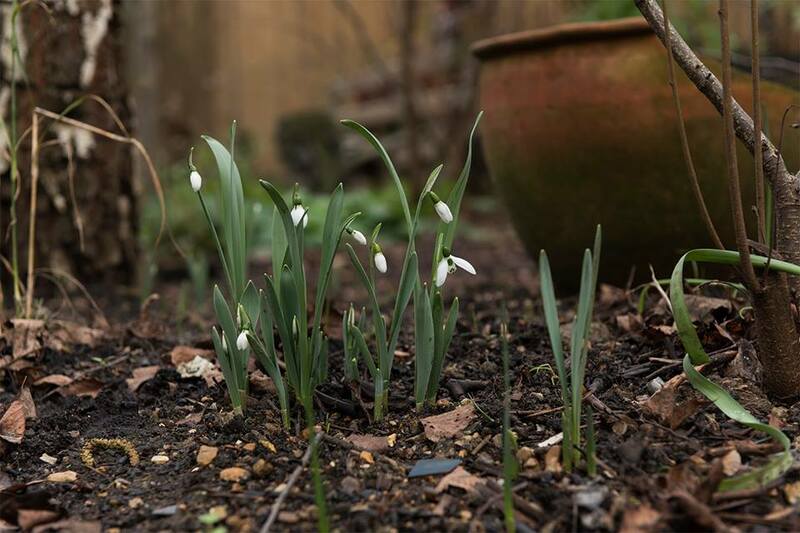 We will have to convince the Council of the need to preserve and enhance this essential community resource. If we fail there will be one very disappointed and angry community.